25 years ago, a generation influenced by Apollo staked a claim for space travel for all humanity. In a remote valley in Northern California, the search for the answer to one of humanity’s greatest questions has begun. 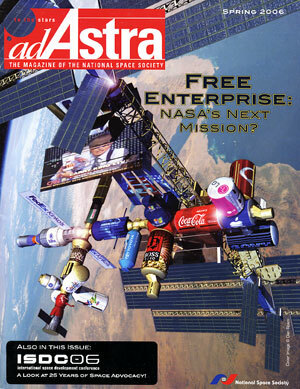 FREE ENTERPRISE: NASA’S NEXT MISSION? 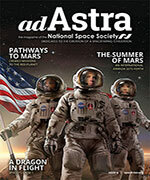 NASA: RISING TO THE CHALLENGE? OR STUCK IN THE PAST? The Vision for Space Exploration needs innovative ideas not just from within the U.S. space agency, but across the whole aerospace industry. IS NASA ALL TALK AND NO ACTION? Since the agency’s current approach to “big aerospace” offers little wiggle room to work with entrepreneurs, systemic change is needed. The founder of the Ansari X Prize, the X Prize Cup and Zero-G Corporation offers NASA a little unsolicited advice. If the orbiting platform is to survive long after NASA stops participating, a business model or a Chamber of Commerce is needed. Global warming and NASA’s new vision could share a common solution far above the Earth. 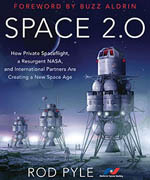 With the world’s space-faring nations all eyeing the Moon for future exploration, a look at the science fiction of the past could influence the future. The United States remains the world’s leading space power, but without international cooperation and technological innovation, that lead could be lost.